Are you someone who wants to develop your personal skills, strengthen your leadership abilities and build a network within the Methodist organization? Then put Thursday, Nov. 1 on your calendar and plan to attend the Methodist Emerging Professionals launch event at Della Costa from 4:30 – 6:30 p.m. The business casual event will include a cash bar and appetizers. Steve Goeser, president and CEO of Methodist Health System will begin the program at 5 p.m.
A presentation on how emerging leaders can support economic development by David Brown, president and CEO of the Omaha Chamber, will follow. A presentation about the Methodist Emerging Professional group will cap off the evening. Free professional headshots for your LinkedIn profile or other professional social media sites will be available. Employees who plan to attend are encouraged to RSVP and urged to wear their Methodist badge. Methodist Emerging Professionals was formed by an advisory group tasked to lay the foundation for the program. MEP is open to anyone in the health system. 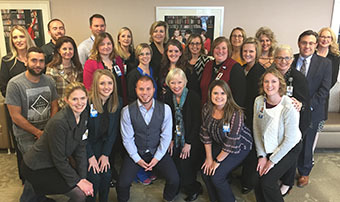 The purpose is to assist employees with personal and professional development, expand the knowledge of the health system, build relationships with other employees, provide social networking events to strengthen systemness and participate in community giving.